Parenting is certainly one of the most rewarding things I’ve ever done, but also the most stressful. There are so many demands on my time, energy, and emotions each day. I love finding ways to make things simpler, more efficient, and ultimately less stressful. Here is a collection of some tricks you can try to make your own parenting less stressful. Hopefully, these will make it a little easier to enjoy your family! 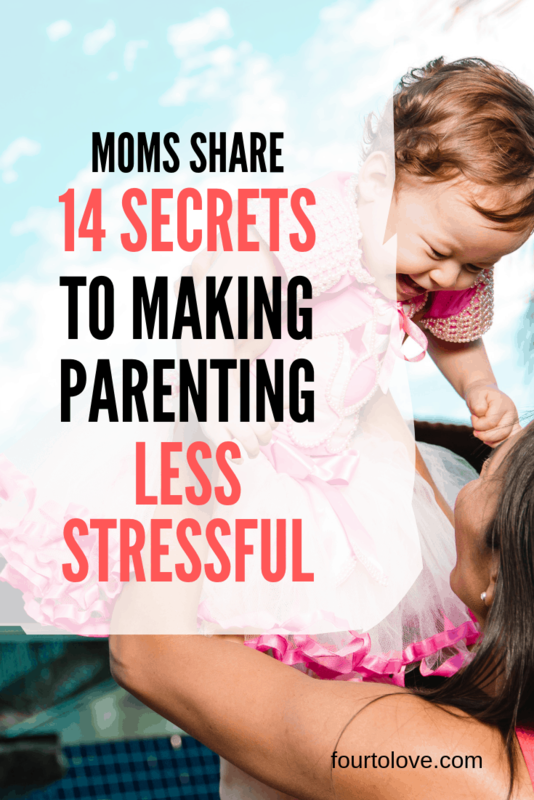 Many of these ideas were suggested by the fabulous moms on my Four to Love Facebook page. Disclosure: This post contains affiliate links, which means I may receive a small commission if you click through and make a purchase. As an Amazon Associate, I earn on qualifying purchases. Spending all your time policing every choice your kids make and trying to get everyone to be quiet, still, and clean, will likely just result in a constant state of stress. Of course, you need to keep your kids safe, so safety battles must be fought. Beyond that, you can make parenting less stressful by deciding what actions you can reasonably tolerate and what battles matter most to you. 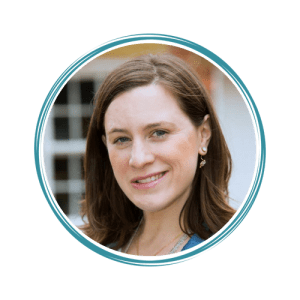 In my free email course, “Five Days to Feeling More Empowered as a Mom,” we talk about prioritizing parenting choices based on the kinds of people we want our kids to become. Ask yourself, what are the most important lessons you want to teach your kids through the rules you choose to enforce? 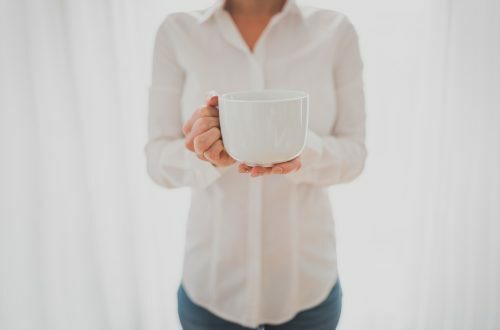 Several of the moms on my Four to Love Facebook page choose to live a minimalist lifestyle and find that this makes parenting less stressful. One mom shared, “In general, I’ve really discovered that possessions actually make me increasing less happy. 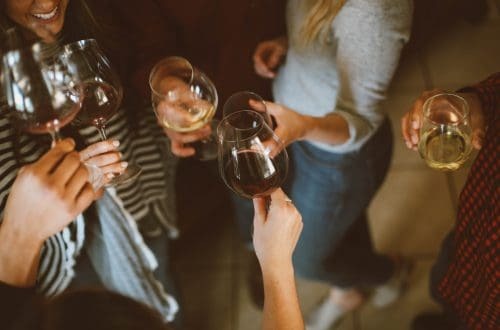 I find empty clean spaces much more peaceful.” She shared how fewer clothes mean less laundry, and simpler decor means less time to clean, all which leads to more family time. Another mom mentioned how easy it is to clean up when there are only a few toys the kids can get out at a time. Consider cutting down on your “things” to cut down on your stress. Parenting is a lot of constant, demanding work. Taking some time away can be rejuvenating! Whether it is getting out to do some shopping by yourself, have a date, go out with some girlfriends, or take a yoga class, take some time away from the kids and do something for yourself. As one mom said, “Time away is crucial for me to gain perspective and come back refreshed. It is amazing what even an hour or two can do!” In my empowerment course, I call this, “remembering your whole identity.” You are not just a mom. You’re a woman who is a mom, and your whole self needs some nurturing. There is so much that needs to be tended to as a parent. Make parenting less stressful by outsourcing some of it! We have a cleaning service take care of scrubbing our floors and bathrooms every other week. A high school student mowed our lawn over the summer. You can easily outsource grocery shopping now with pickup and delivery services! Think of ways that you can pay a few dollars to have someone else take a load off your shoulders. The time and peace you gain back are likely well worth it. Routines are important for adults and kids alike. The predictability of routine brings a sense of peace and security. Routines also help you to be more efficient. They allow you to remember what needs to be done and do it in an orderly fashion without trying to remember things at the last minute. Try to implement routines in the morning, evening, and at bedtime, and see if it makes parenting less stressful. It’s important as parents not to be unreasonable with what we can accomplish with kids around. The house is simply not going to stay tidy all day, and running around trying to keep it spotless would be a waste of time and energy. Outings are probably going to be a little chaotic. Sleep is probably going to be a bit of a luxury. The less we expect ourselves and our kids to be “perfect,” the less stressed we will be when things inevitably do not go perfectly. Using your evenings to get things ready for the next day can cut down on morning stress. Before you settle in to binge-watch a show on Netflix, get lost in a good book, or slip down a social media rabbit hole, try doing some prep work. Pack backpacks, make lunches, lay out clothes, even get dinner ready to throw in the slow cooker the next morning. Give yourself time to get out the door. Having kids is like a recipe for being late, and being late is stressful! The earlier I start to get my kids heading toward the door, the more likely we are to be on time. I would rather show up early or drive around a little longer in the car because I happened to get everyone’s coats and shoes on and seat belts buckled in a reasonable amount of time than I would rush and yell to try to make it out the door at the last minute. Have you ever tried to come up with a dinner idea in the middle of the day when you haven’t defrosted anything and it’s too late to start the slow cooker and also you clearly needed to go grocery shopping yesterday? Meal planning is a great way to make parenting less stressful. Before a grocery shopping trip, plan out your dinners for the next few days. 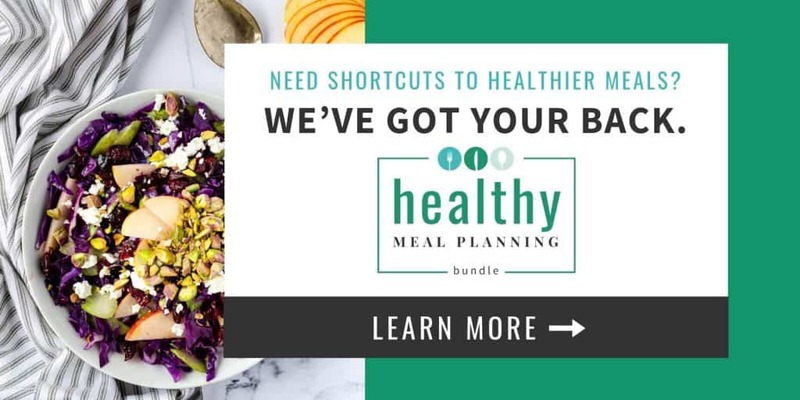 We often base our meal plans on what we already have around the house, what’s on sale at the store, and who’s going to be around to do the cooking. If you need some inspiration, I’ve compiled fifteen of our favorite easy, kid-friendly dinner ideas and I highly recommend this collection of recipes, readymade meal plans, and printables. Kids do not have to be very big in order to start helping around the house. My two-year-old helps me empty the dishwasher pretty regularly, and she’s very good at it! What can your kids do to help? Maybe they can set the table, put away their laundry, feed pets, hang up their coats and put away their shoes. The sooner you teach your kids to start being responsible and pitch in around the house, the sooner you will get to offload some of the burden of responsibility for keeping the household running. I cannot stress enough how life-changing it was for me as a new mom to realize the power of babywearing. I could spend time holding my baby while still freeing up both of my hands to take care of things around the house. When her brother came along, I could then hold him while tending to her and all her toddler antics. 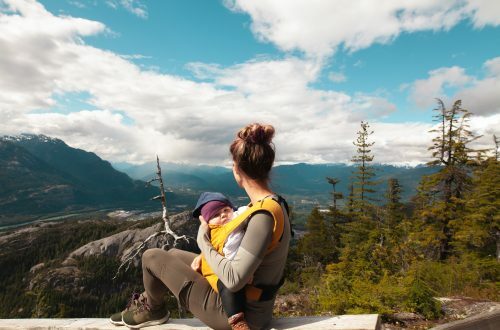 Getting a good baby wrap or carrier (I use a Moby wrap and Ergobaby carrier, personally, but there are plenty of great options out there), is an essential way to make parenting less stressful. Have plenty of independent activities ready. Build your village and lean on it. If you have more secrets to share, please leave them in the comments!